Congratulations on completing the previous Nine Lessons along with the Ace to Ten of each of The Four Suits of The Minor Arcana. This is no mean achievement for there was a lot to learn along with getting accustomed to thinking in a whole new way. As each Lesson and Card was studied and analysed, both your mind and eyes opened to new concepts and sharper visual appraisal. No longer are you merely holding a pile of Forty Picture Cards in your hands called The Minor Arcana of The Tarot, for now you are the new guardians of Four Individual Stories and Journeys, the Stories and Journeys of Life. You now should be at a stage where you understand The Four approaches to life and the Four Aspects of our Personalities which govern how we and those around us act and feel, and what we say, think and do. You should have a strong understanding of The Four Elements that governed and influenced The Four Suits as they journeyed throughout The Minor Arcana. You should now also be in a position to identify how The Four Elements influence your own life and which one/s dominate and direct your life from day-to-day. You should also be clearly aware of which Element/s are lacking in your personality, which ones would be beneficial for you to get more acquainted with and which ones are best to keep under tight control. Your knowledge of the behaviour of the individual Elements should explain why you have tendencies to act and behave in any given situation. You should also have reached a state of honesty with yourself and acknowledge any Elemental Aspects of your Personality that are in Reverse. You are no longer at the mercy of your Personality for this new knowledge will have empowered you to make adjustments where necessary and to pre-empt certain behaviour which should enable you to gain better control over your life. You will also have noticed that you have a better understanding of partners, spouses, family, friends, work colleagues and associates. This is because of your understanding of The Four Elements; Fire, Water, Air and Earth. These Elements will have revealed themselves to you as you became more familiar with them, putting you in a better position to identify their Personality Types. As a result you should now have realised why you get on better with some than with others based on your dominant Element Type and theirs. Many will be similar, others compatible, while some will be in opposition or hard to reconcile with. You cannot choose your family but you can choose your friends. Your friends, especially your closest friends will have Personalities, Elemental Types that are similar to yours or compatible. Sometimes they can be the exact opposite of yours, but by working together, the opposing Elements will bring out the best in each other or force the other out of their comfort zone, which helps growth and development. Those we work with, or have need to deal with on some level or other, will be a mixed bag of Elemental Types and here we have no control, for we must do our best and just get on with it. We may have to grin and bear certain Personalities because they are our Boss or Manager, we may have to be obliging and agreeable to members of the public when really we would rather throttle them over the head. On the work front, some of our work colleagues may drive us to distraction while others help make our day just by their very presence. When several Elemental Types are thrown together, there is a tendency to drift into certain groups or clicks that we call ‘our type’. We get along better with ‘our type’ and will sit together in the work canteen at lunchtime or socialise after work hours. There will be many Elemental Types we just won’t get to know much about at all because unless we make an extreme effort they will be deemed as ‘not our type’ and will feel we have little in common with them. We rarely sit down and ponder this or ask ourselves why it is that a certain person, who has done nothing wrong at all to us, gets our back up all the time, have no interest in or are completely indifferent to them. We try to avoid them whenever possible and find it extremely difficult or tedious to hold a conversation with them. Then there are those that unnerve us or intimidate us, and we just cannot put our finger on what it is that is wrong. We constantly hear of bands breaking up that have been together for some time and their press release will put it down to ‘personality differences or artistic differences’ as the cause of the breakdown. These are The Elements at play again and when we come to Personalities that become extremely strong because of the lifestyle and attitude of celebrity-hood, there can sometimes be an inclination to let a certain Element become dominant. Certain celebrities drift into a way of being that leads them to believe that they do not have to make an effort to keep their Personalities balanced. Instead they become out of balance; demanding, egotistical and out of hand. No one tries to stop them, especially those who have jumped on the gravy train with them. In fact the more extreme their Personality is, the more publicity and attention they get. Friends who try to exert some influence will be cast aside and banned from their presence. Only the ‘in crowd’ who are inclined to the same behaviour, or tolerate it just to be seen with a certain someone will gain favour, which can be withdrawn at any stage should they disagree or show signs of disgust. 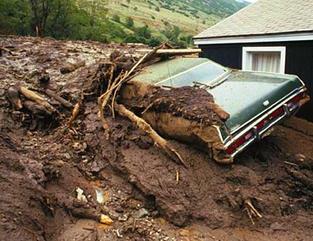 The behaviour of some celebrities can become extreme and outrageous as The Elements go berserk. Money can buy them out of anything and they can lose all sense of perspective in their life. When these Overly Dominant Elemental Types come together, as in a band, on a movie set or on stage, there can be terrible clashes as every Element fights for supremacy. Each thinks it is more important than the other. We hear of dreadful behind-the-scenes hostility and jealousy. Celebrity marriages in the majority of cases often end disastrously for the same reason. Two overly-strong and Dominant Elemental Types compete against each other. Instead of bringing out the best in each other, or being there for each other, they do the exact opposite. A celebrity who marries a non-celebrity stands a better chance of staying grounded because the non-celebrity partner will have a better mix of Elements governing their life. They may be ambitious in their own right but are not driven in the same manner as their celebrity partner. The non-celebrity partner can retain feelings of compassion or empathy without coming across as a soft touch and get taken advantage of. They can speak their mind and assert themselves without fear of getting ‘bad press’ or being boring or unpopular. They can work normal jobs where others relate to them in a natural manner. They have friends who want to be their friends because they like them. They can equally shop on the high street as well as enjoying designer labels. The can come and go to many places without being recognised. They are generally free to be themselves, even though being a partner to a celebrity does bring its restrictions and conditions. Can you see what I am getting at? We must all aim to keep are Personalities, our Elemental Energies as balanced as much as possible. 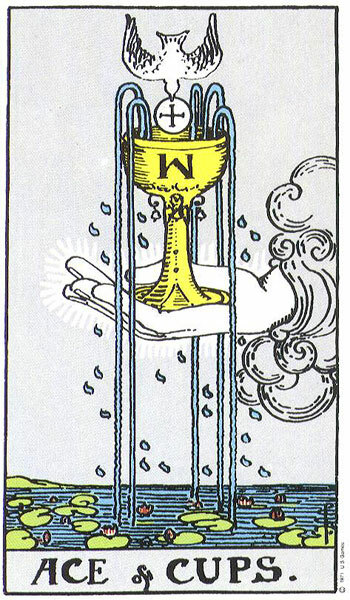 Of course one or more will be dominant which will make us who we are and define us, but unless we can find the right blend, like in The Temperance Card of The Major Arcana, we will never be truly happy or realise our full potential. The Tarot can help us discover who we are, how we became who we are and whether we have personal work, self-development or growth to do before we can be our own ideal role model. The Stories of The Four Suits amply provide us with the evidence of how life would be like if we only worked with one Element. Yes, at times on their Journeys we found them channelling or calling upon the energies of other Elements to achieve their aims, yet the majority of the time they worked off their own steam, forging ahead, driven by the influence of their Governing Element. Certain Suits demonstrated how detrimental going it alone could be. In The Suit of Swords we saw the results of being influenced solely by the Air Element and at times in The Wands Suit we saw the consequences of too much Fire creating hyper-activity with little thought leading to exhaustion and impulsive decision-making. The Cups Suit was driven by pure motives in pursuit of inner-happiness and love. 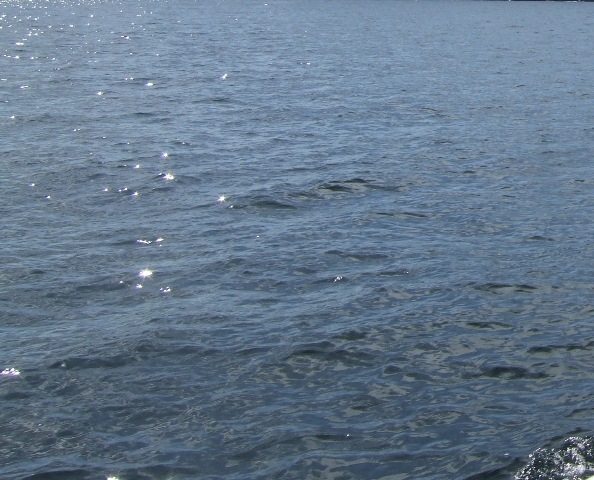 The Journey undertaken by the Cups Suit taught us how vitally important The Element of Water is to the very existence and continuity of humanity, for without love, without feeling from the heart, we are all but lost. 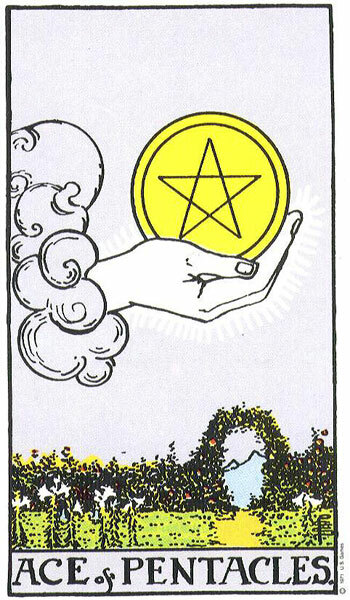 The Suit of Pentacles showed us how soul-less and materialistic we can become when The Element of Earth works alone. Of all The Four Suits we must carry out a self-examination to determine if we can honestly and proudly announce that, yes, we have a sufficient level of Water in our Personality Make-up to make us warm, emotional kind, generous, loving human beings. Too much and we become overly emotional and hyper-sensitive. Too little and we become cold and sterile, thinking only of ourselves. If Water is absent what we have left amounts to nothing as we will be unhappy regardless of wealth, education and career. So after your individual Journey with The Four Suits and their Elemental Energies, how do you measure up? It is by understanding how The Elements have affected you and your life that you will be able to do the same for others when you Read for them. It is what The Tarot is all about. If you are still uncertain of the impact of The Four Elements in The Tarot, or find it hard to grasp their implications on the forming of Personalities and Behaviour, which in turn predicts certain behaviour, it is best to go back and study The Elements Section in Lesson Three and The Four Suits in Lesson Four thoroughly before proceeding any further. It is only through understanding The Four Elements that you will fully get to grips with learning The Tarot. ***Examples of the Results of mixing Elements and when Certain Elements Dominate or take too much Control. The Result is Elements out of Balance. The Four Elements naturally lead on to having an understanding of Archetypes and Archetypal Behaviour. Archetypes are modelled on the individual Four Elements of Fire, Water, Air and Earth as well as when they are mixed and blended in a certain manner. 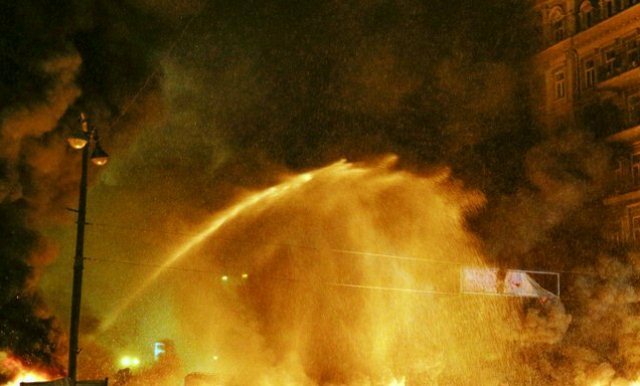 The Archetypal Fire Personality will become another Archetypal Personality if mixed with Air for it will act and behave in a way we expect when these two Elements come together. That is, potentially volatile; the Archetypal Aggressive/Criminal Hooligan, or on the other hand, depending on the exact Proportion of these Two Elements, the Archetypal Dynamic Intelligent Entrepreneur whose success is based on being fearless and being able to think fast on their feet. 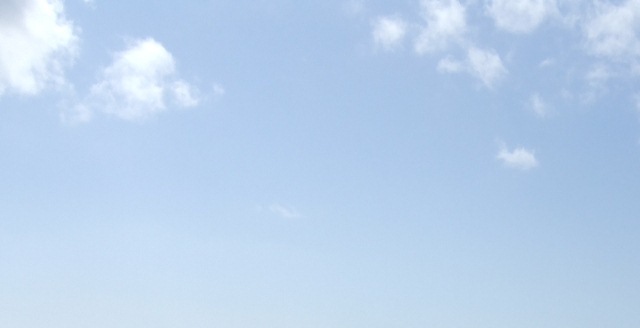 Mix Air and Earth and we find the Archetypal Success Personality with brains, ability, skills and tenacity. Too much Air and we get the Archetypal Pontificating Personality; lots of plans and ideas but unable to manifest them into something tangible, the Cannot Follow Through Archetypal Personality. Too much Earth and we have the Archetypal Never Realised their Full Success Potential Personality; hard relentless work, with no real plan or inability to set Goals. Could have been something if they had put their mind down to it. You may also get The all Work and No Play Archetypal Personality who does not have the time to enjoy their money or are too mean to spend any. Mix Water with Fire and we have the Archetypal Dynamic, Big Hearted Personality. Too much Fire and we then find The Archetypal Do as I Please Regardless of The Feelings of Others Personality. Too Much Water and we get The Archetypal All Fired up Today and Fearful Tomorrow Personality, The Chickening-Out Personality, The Personality that dampens enthusiasm with unnecessary worries and fears. Understanding The Four Elements naturally helps us understand Archetypes and vice versa. Tarot Readings will lack depth and reality if there is no understanding of both Elements and Archetypes for they will not reflect true life, they will not mirror what we have all learned to recognise as Typical Situations. Therefore they will be impossible to understand for they will become like Fortune-Telling; a series of abstract words and messages that could relate to anything or anybody because there is no personal connection or identification of an Archetypal Situation or Personality. There is no story to tell. Gaining an understanding of Numerology helped us determine at what point of a cycle we are at and how the Collective Energy of Numbers affects our everyday life. The more dominant a Number in a Reading, the stronger the impact of its energy. We learned that Numbers carry messages which can help with interpretation. We discovered that there are positive and negative Numbers, masculine and feminine in energy. We realised that odd Numbers often carried energies of challenge and difficulties but when successfully handled, resulted in desired growth and progress. We found that Even Numbers regularly brought balance, stability and strength with the exception of Two which brought the challenge of decision-making and extremes. We concluded that there was no escape from Numbers and their associated Energies for we were surrounded by them, and because of their cyclical nature, are forced to experience each of them at some stage on our own Individual Journeys. Our very own Birth Dates created energy patterns that along with our Elemental Energies help govern and direct our lives. We also learned how we can use The Power of Numbers to our advantage and to help us understand why we are going through certain things at a given moment in time or life. The importance of Symbols and Colours came to light as we studied the imagery on each Card. We learned to train our eyes to see more than just the picture in front of us. We began to see more, we noticed things we hadn’t before. From a blade of grass to a bird in the sky we started to understand the reason for their presence, for every detail in the imagery carried a message whether it was metaphorical or direct in its approach. The Symbols told their own story apart from the story of the overall picture. We began to see The Story behind The Story that was hidden within Symbols. We realised that Symbols are Shape-Shifters in that they were clearly obvious one day, and on another day just blended into the background. We began to search for Repetitive Symbols in Readings with the knowledge that they carried more urgent, insistent messages. We realised that Symbols and Archetypes are the language of Dreams and as a result, Tarot Reading was similar to Dream Interpretation. We began to understand that not all Symbols can be taken literally in that they often held Cryptic Messages, just like Dreams. Where Colour was concerned we suddenly noticed it, and that it too carried its own message of moods, emotions and atmospheres. We began to understand how a Dominant Colour in a Spread can influence the Tone of a Reading. Colours carry their own Energy and have us feeling the blues one day, a black mood, red with rage, green with envy or tickled Pink with Joy. We learned how Colours can be cold or warm depending on where they were on the Colour Spectrum and we linked certain Colours to The Four Elements; The warm to hot shades of Orange, Red and Gold for Wands/Fire, The soothing cooling shades of Blues, Turquoise and Aqua/Greens for Cups/Water, The colder shades of Pale Blues and Greys for Swords/Air and the heavy shades of Dark Green, Brown and Russet for Pentacles/Earth. 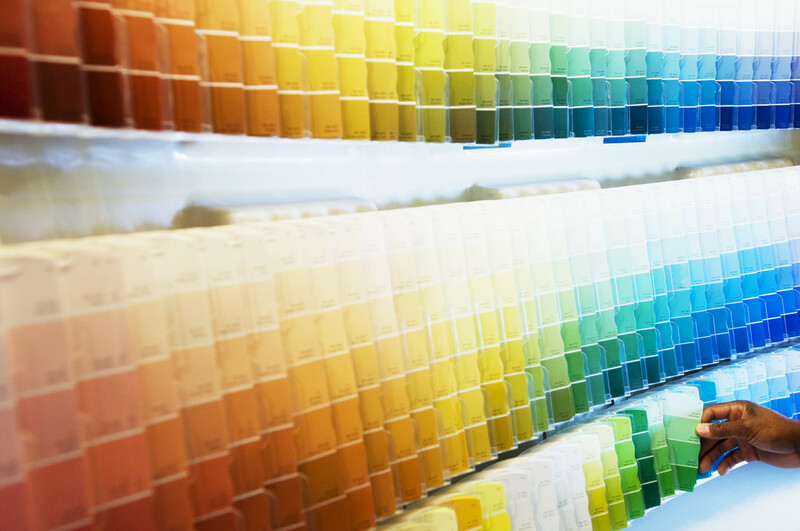 From Colour alone we could determine whether a Reading was positive and uplifting, or negative and heavy. At this stage of our Journey we should be able to pull all the above information together so that a Story reveals itself to us. When Reading The Tarot we do not work with one tool alone, for this would only show one side to us. The Tarot is multi-faceted, so by applying all the above disciplines we can truly bring forth all the messages it, our Subconscious, wishes to share with us. Our Subconscious uses these methods of communication, as it does during Dream Time, to help us make sense of our life, and to offer guidance and direction that is particular to us, but certainly not unique. We all share this planet, are all human beings, and all access the pool of Universal Knowledge to gain knowledge and information which we then give back so that others can be privy to what we have acquired and assimilated. And so it goes round and around, Stories repeating themselves over and over again all over the world. They may be taking place in different environments and varying scenarios, but are all so alike. So much alike that we could all write the book if we had the time. 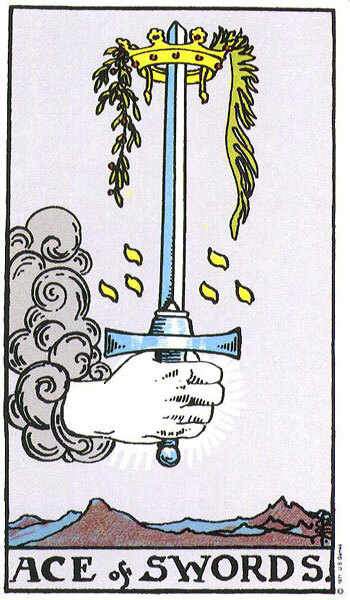 Instead, The Tarot does this for us. It can tell everyone’s Story from their unique particular point of view for it knows the Stories of all those who have been before, those who are here now, and those who have yet to come. In Part II we will begin our study of The Court Cards, the Actual Personalities behind the stories of The Four Suits. These have been the Actors in the Four Individual Dramas that Played out in the Previous Lessons. From all we have learned to date in Part I, we should find the Court Cards less daunting than if we had first started our studies with them. I would be misleading you into thinking that The Court Cards will now be a walk in the park for even the most veteran of Tarot Readers often find their presence in a Reading either a nuisance or confusing, for they can represent so much. However, now that you at least know the behaviour of our Four Elements you will easily recognise them in the Four Royal Families who wait eagerly to meet you in Part II. It will be like finally getting to meet the characters in a book you have been reading for some time. It will be their turn to shine and showcase their individual personalities to the best of their abilities for they want you to know that there is much more to them than meets the eye. So here we are just after finishing the last Eight Cards of The Minor Arcana from Ace to Ten. The Court Cards are also part of the Minor Arcana but I have deliberately separated them because they are treated and read in a different manner. Now that you have completed your study of The Four Nines and Tens you will have covered Forty Cards and that is a lot. You must now be getting a feel for what sort of Reader you are developing into, or would like to become. Which do you think you would prefer at this moment in time? To do Quick Readings, using a Small Spread, and work with what immediately comes into your head? You may find that Reading at Holistic Fairs or Tarot Parties is where you will be most happy. This involves doing Quick Turnover Readings one after another, and being quite fluent with your Card Knowledge. You feel comfortable with your Readings being overheard by those waiting in the queue and other Readers who are close by. At Tarot Parties you don’t mind having to Read for people who may have had a lot to drink. You prefer a more Intimate Setting where you like to sit privately with The Querant, but still like to keep your Readings brief and to the point? Then doing Tarot Readings from a rented space in a Holistic Centre or Shop would be ideal. You are still turning over Clients at a regular pace, thereby covering your room rental overheads and earning a living at the same time. There is generally a communal area for waiting clients and a receptionist on hand to let you know when your next Client has arrived or of any cancellations that have occurred while you were busy Reading. They may also be agreeable to taking bookings for you in your absence. A Personal Space, either developed from home or a privately hired room that you have exclusive use of. 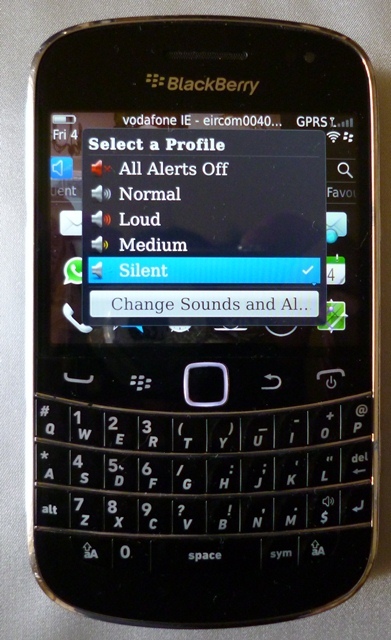 Here you can create your own atmosphere and ambiance. 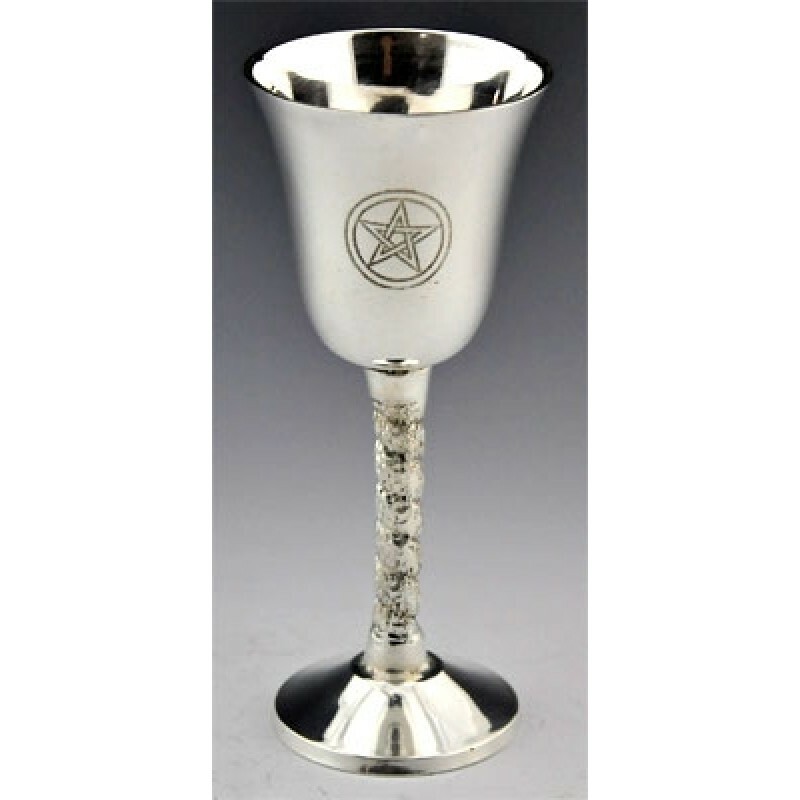 You can decorate it so that it reflects your Spiritual Interests and Tarot Reading Service. You can make it welcoming and comfortable for Clients instead of the often clinical appearance in Holistic Centres where several therapists are using the same room. Having your own space also allows you to create and build an energy within that is conducive to your work. This becomes your Sacred Space, a place where you do your Tarot Readings and any other Spiritual Work. It no longer is just a room, but rather a place that takes you immediately into the Right Zone from which you work best. You also know that any Psychic Cleansing or Protection you put in place is not being undone by other users of the room, who may not put as much emphasis as you do on Psychic Hygiene. When you have this Personal Exclusive Space, you are no longer at the mercy of the rules and regulations that govern communal workspaces. You are free to set your own guidelines and become the Reader you wish to be. 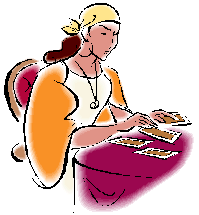 This may take you down two roads, one as A Tarot Reader who aims to fill their Diary with as many Readings in a day as time will allow, or you may decide to take the road of The Tarot Consultant, with fewer clients but Longer Reading Time. Tarot Consultants generally charge more for their Readings because of the time involved, which can be anywhere from one to two hours. 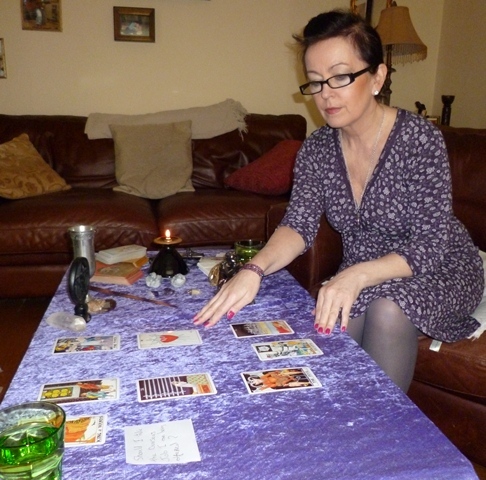 A Tarot Consultant works by combining a form of counselling (non-professional) with Tarot Reading i.e. They use The Tarot as a Counselling Tool along with Divination. If you like getting to know your clients and enjoy discussing the ins and outs of their Readings, listening to their story and encouraging their input, then Tarot Consultancy is the way to go. However, it is not the best option for those just beginning on their Professional Tarot Career as it does involve quite intense work with the Querant and a lot of in-depth analysis of the Spreads and Cards drawn. There is usually some discussion before and after a Reading, and if you are still in the Novice Stage, you may find yourself out of your depth, as Clients who attend Tarot Consultants usually come with quite complex issues and are looking for advice from both the Cards and You. *By the Way, All Tarot Readers eventually develop the ability to become a Tarot Consultant but may prefer to stay as a Tarot Reader. Doing Remote Readings, either by Email, over the Phone or by Skype. 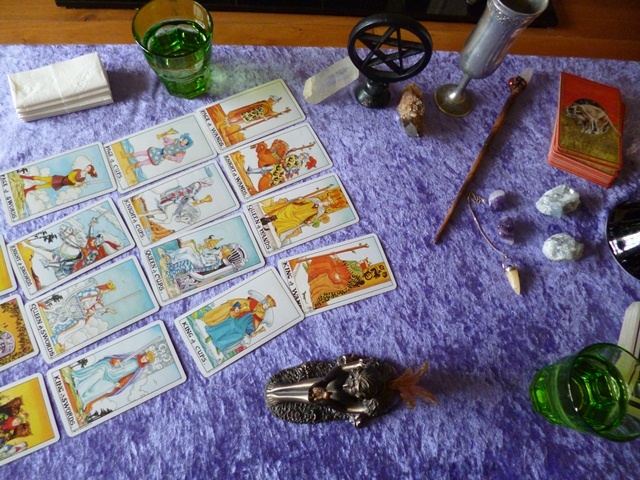 This generally belongs to the Realm of Tarot Reading, but Tarot Consultancy can work very well if using Skype or The Phone, but Skype preferably. This is because there is a lot of interaction between The Querant and Reader when doing Tarot Consultancy which is not possible by email. Also Tarot Consultancy Readings are often longer and more in-depth, which in turn creates a lot of typing thereby limiting the number of Readings you can cover in a day or week. Speaking is in most cases faster than writing, but writing does give you more time to analyse the Cards and think about what you are going to say. Doing Tarot Readings/Consultancy but also trying your hand at Teaching Tarot to others. Some of you may have noticed when doing Readings for others, that not only are you Reading their Cards but have also being explaining to them how the Cards work and the nature of The Elements. You have begun sharing with them some of your growing knowledge and your Clients have been very interested and intrigued by what you have told them. You have also enjoyed this side of The Reading. This may be a sign that you have the ability to Teach Tarot. You are able to communicate to others the often intricate and complex aspect of Interpreting Tarot. Your Client may be amazed and declare they never knew there was so much involved in Tarot Reading. Some may express an interest in learning more. That is how I ended up Teaching Tarot. My Clients began to want to know more and I was approached to begin a regular class for them. *Some of my ex-students now Teach Tarot as well as Reading for Clients. One way you can determine how well you can communicate the nature of Tarot is when using Significators, which will be covered very shortly in Part II of this Course. Significators generally are chosen from The Court Cards to represent the Personality of The Querant, who the Reading is about, or how one is feeling or would like to be feeling. Knowledge of the Elements is essential unless you are selecting a Significator based on looks alone. To help The Querant decide which Court Card they may be, you will have to describe the Personality of each Relevant Court Card to the Querant to help in their selection. This will be their first introduction to the Archetypal Nature of the Elements when Personalities are involved. In general, the Querant is fascinated and may see themselves as just one, or based on your descriptions, maybe two or several. When using Significators, the Reading always refers back to their Personalities, and how they are influencing the issues either on a negative or positive level in The Reading. If the Querant works well from your descriptions and he/she starts to get involved in the Reading because of their newly acquired knowledge, then you have Taught your First Lesson and may have the makings of a Tarot Teacher in you. However, you should always be respectful of the fact that you are just starting out and need to become very comfortable with your knowledge of the Cards and all that goes with Tarot before actually declaring yourself a Teacher. If you feel you would like to go down that line in the future, then a good idea is to introduce a little Teaching in each Reading you do, that is if you have time. When giving your Interpretation of the Cards in a Spread, lift the Card and show it to the Querant. Point out the Imagery in the Card and how it relates to their situation, describe the atmosphere in the Card and if it is Reversed, communicate to them how it would read if Upright so that they can see where their blocks may lie, instead of the Querant just sitting back and being a passenger. Explain how the Numerical Aspect of the Card is also influencing their interpretation. Point out to them, the Colours of the Cards. Often one side can be quite dark while the other side of the Spread is quite bright and cheerful. The Querant will be very interested and feel personally involved in their own Reading. Don’t however, turn their Reading into an opportunity for you to showcase your Teaching Skills. Subtly introduce some Teaching into your Readings each time and this will build up your confidence for the future. In general, where Teaching is concerned, you will also have to be able to put it in written form as students usually require notes of some form. This is where your Tarot Journals come into play. You can go back over all of your own notes and observations to compile some hand-out notes for your Students. They do not have to be as in-depth as mine if you are just Teaching Beginners Tarot. 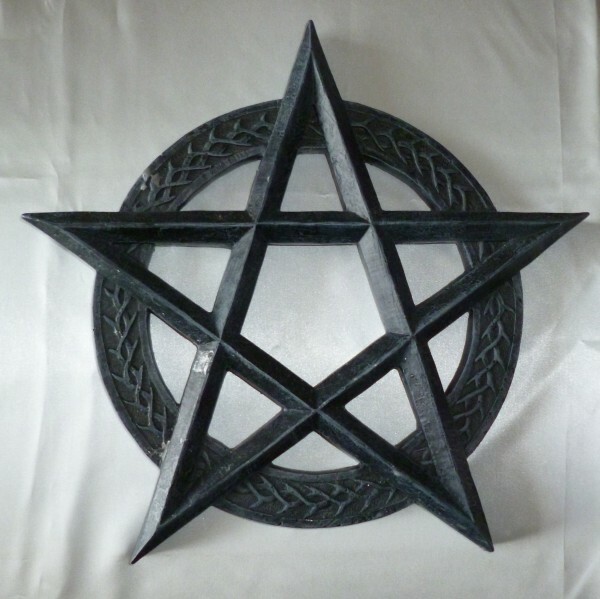 A good idea is to start you own Tarot Blog and this will get you writing. Write about your Tarot Observations, your Daily Spreads and do a Daily Card of The Day Interpretation to push your writing and interpreting skills. *I will at some stage in the next year or so be compiling a Separate Module for those who wish to become Certified Truly Teach Me Tarot Course Tutors. Those who apply and gain Certification will be given permission to Teach The Truly Teach Me Tarot Course in their own Space, either on a Private one-to-one basis or in a Class format anywhere in the World. 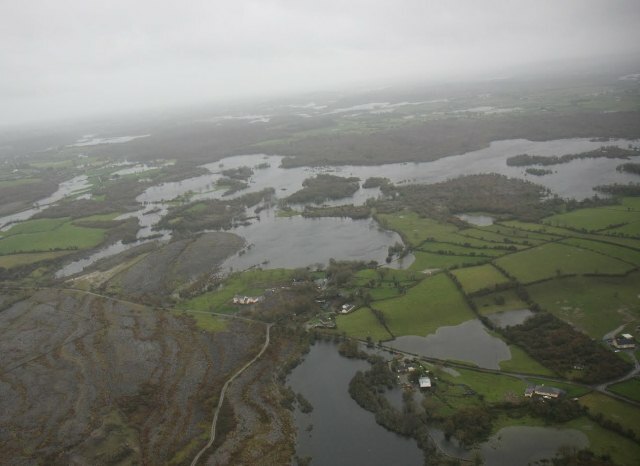 There will obviously be certain conditions and criteria to be met before Certification would be issued. I mention it now at this early stage, for those who wish to set Future Goals for themselves. So if you have a desire to become a Tarot Teacher and would like to use My Course then start now, and along with developing your Reading Skills, develop your Teaching ones too. For those who are interested in becoming a Certified Truly Teach Me Tarot Tutor, please fill in the Contact Form attached to this Page so that I can keep your details on file and contact you once Tutor Module Details have been finalised. I will cover this again in Part II and III and will also Post about it in the future when my re-working of The Course is nearing completion. In the meantime there is still a lot of study work to do. For Contact Form please scroll to the end of page. Once you begin to get to grips with learning The Tarot, it is quite easy to become obsessed with it. This applies to any Metaphysical Study such as Psychic Development, Mediumship, Angel Therapy, Reiki, Dowsing and Connecting with your Spirit Guide. Time and time again I have to sit some students down and literally tell them to calm down. They become so enthused with Tarot, they want to add to it and further expand themselves by signing up for just about every workshop that is going in the hope of opening themselves to becoming more Psychically Aware and Spiritual. They tell me about all the courses they have booked in for and some even try to begin their training in Shamanism shortly after starting Tarot. It is as if they can’t get enough of their new-found discovery and mysteries of other realms and dimensions. With the bit between their teeth, they seek to accumulate as many certificates in as short a time as possible. Some of the workshops they have paid very good money for have the most dubious of Titles, and when I ask what is involved, they find it difficult to explain. One of my students attended a two-day workshop some years ago which was intended to assist her in hearing her inner-voice. When she returned the following week to class, she was gushing about her experience, even though she herself did not experience anything, it was what she observed in others that mesmerised her. The group that gathered were paired up and had to decide which would go first for the process. The process involved lying on a mattress blindfolded while drums were played in the background for a few hours. If you needed to use the bathroom, the partner you paired with had to lead you to it and wait for you outside because you had to remain blindfolded. You were then led back to your mattress and continued listening to the drums. My student said that she experienced nothing, but all around her people were crying out and some went hysterical and had to be led blindfolded from the room. The next day, she changed places with her partner and watched over him while he lay blind-folded on the mattress. She said this man cried for hours like a baby while listening to the drums. I asked her how much it had cost for the two-day workshop. It was €300 and didn’t even include food. I asked her what she had got out of it and she just shrugged her shoulders but added that the tutor was purported to be world-renowned. I was astounded by the whole set-up and amazed that people were actually paying to lie on a mattress blindfolded and be led to the bathroom by a stranger. She was off to some other workshop the following week which was called ‘Soul Breathing’ and couldn’t wait to part with her money once more in the search for enlightenment and awareness. After a further few obscure workshops, she eventually came to her senses and called a halt. She has since narrowed down her field of study to that which she is really interested and excels in. She now advises others on the pitfalls of getting carried away with trying to do a bit of this and a bit of that. All that results in is becoming a Jack/Jill of all Trades but Master/Mistress of None. If you ever look up the listing or directory on Holistic Sites you will see that there are literally hundreds of Therapies or Disciplines you can study. The temptation is to try to do too much, and in the process get totally confused with what you are supposed to be about. You will also find that many of these Therapies or Disciplines all spring from the same source and you can find yourself paying out over and over again to hear the very same thing, the only difference being that it carries a different name or title each time. Whatever you are interested in studying apart from Tarot, it is advisable to do some research on the internet about it or buy a couple of books on the subject before rushing out and signing up for a weekend workshop that offers certification. Believe me, a weekend workshop, certificate in hand or not, goes nowhere in preparing you to being expert enough to practice it, or claim to be fully trained in it. Anything of value does not come that easy. 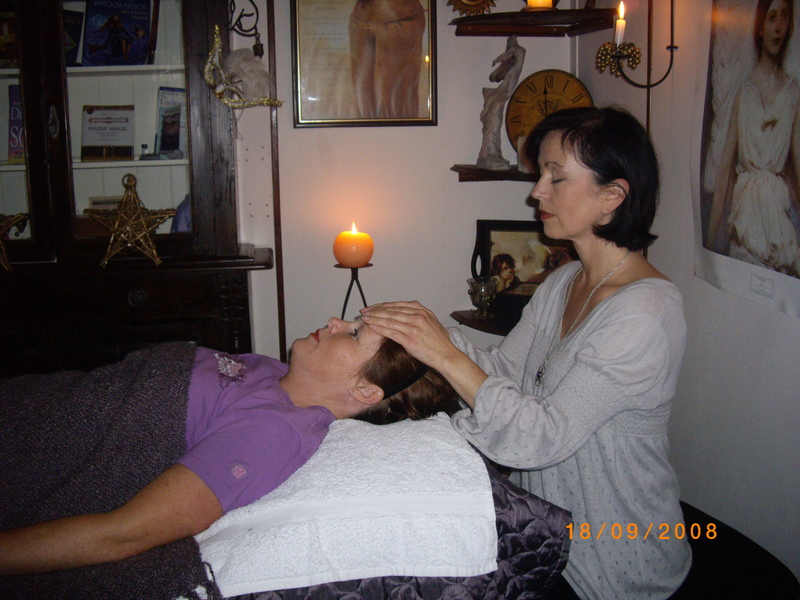 Even Reiki that offers Attunement and Tutoring over a two-day training period, may open you to the flow of Reiki but it takes time after that to become a competent Reiki Healer. During my time teaching Tarot to groups or Private Individuals I had many enquiries from people who said they wanted to learn Tarot. When I told them that the Course was broken down into Three Parts with each Part Taking approximately 8/12 weeks they weren’t interested. What most were looking for was a Two Day Workshop that would teach them everything they needed to know about Tarot so that they could set themselves up as Tarot Readers. 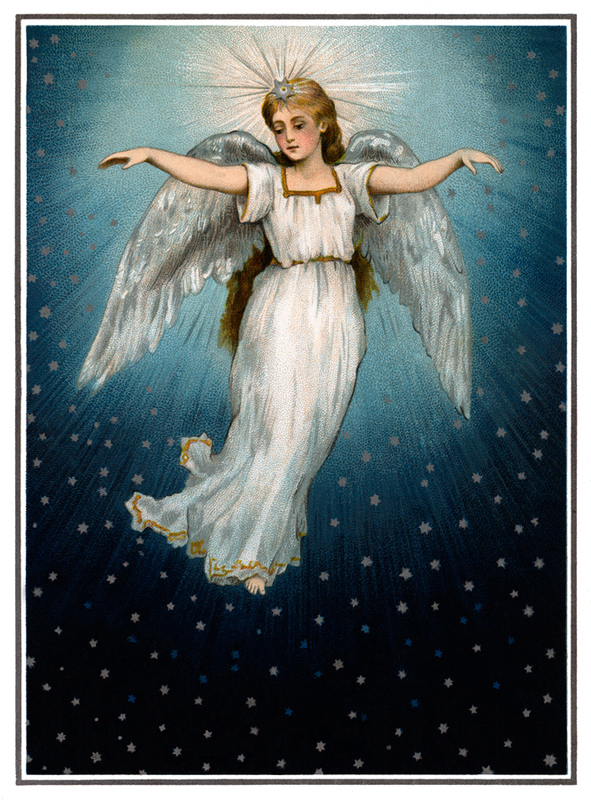 Many wanted to add it to their Angel Card Reading Practice which they had become qualified in over a weekend. When I explained to them that Tarot worked in a very different manner, and was treated more so as an Apprenticeship they said that they didn’t have the time for that kind of study. Whereas it is always a good idea to further educate yourself in areas that are connected and relevant to your main choice of study, it is very easy to get sucked into totally over the top and way out workshops that offer promises and guarantees that are rarely delivered on. Just like all the recent Angel Workshops that were springing up everywhere promising to connect you with your own Personal Angel, I have had many students attend these only to feel and see nothing while others in the group where having visions and swooning. Most of this in my opinion comes down to either the power of suggestion or mass hysteria, a bit like the moving statues in Ireland. Tell a crowd that someone has seen a statue moving and of course the majority present will start to see it moving too. They tell others who travel expecting to see it move for them, and again most will get what they wish for, for the suggestion has been implanted in their subconscious. Outside of this, there will always be those who are not as easily persuaded and they will see and experience nothing. It is quite similar to Stage Hypnosis. As a Reiki Healer myself, I have had some amazing success with clients, and then there have been some that no matter how many times they came for healings, their problems still persisted. On several occasions Clients have made a complete recovery after just one Healing, calling it a miracle and so on, yet others fail to respond. I suppose it is a case of finding the Right Healer for you. What is important is to not let it all go to your head. Keep your feet firmly on the ground and try not to act or think that you are ‘Special’. I may not have passed out after my visit with the Faith Healer but I did have an incredible experience when I was first attuned to Reiki and really had not expected to feel anything at all. Bolts of energy coursed through my body and I felt like I was floating off the chair. I was overwhelmed by the effects of energy for weeks after, and to this day am still very sensitive to it. Some in the group that day experienced little or nothing, and felt almost cheated, or possibly that they had not received the attunement correctly. 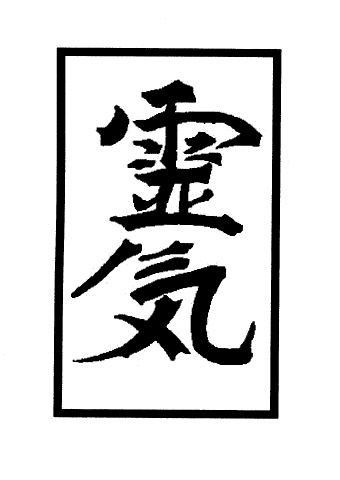 So it is hard to tell, but definitely Reiki is very strong and even the most sceptical, and I have met them, are astounded by what they experience during a healing. Let me get back to the matter of staying grounded. When I am not Reading Tarot for others or Writing about it, I don’t think about it and I don’t talk about it to my partner over the dinner table. Tarot is a part of my life but not all of it and this is where you have to be very careful. I know some people who are involved in various Metaphysical Therapies, I have taught some, and they can talk of nothing else but what they do. Everything is a sign or spirit is constantly talking to them about one thing or another during meditation or at any time of the day. They wear long floaty clothes, drape themselves in symbolic jewellery and move around in an almost otherworldly manner as if they are not fully present. They attend every workshop, class, course or stage performance that is going and are constantly having aura photography done on them so that they can show everyone how Spiritual they are. They never miss a Holistic Fair and spend a fortune at each stand. Worse still is when they present as a couple claiming to be Twin Flames because a psychic told them they were some years ago. If I have to attend any event where the above such encounters are likely I do my best to avoid getting seated beside them for it all becomes very boring after a very short space of time. They can talk about nothing but what they do and can only identify with people who are likewise. These people have lost their connection with the Physical and have floated away somewhere. They have forgotten that they are Spiritual Beings living in the Physical and see themselves only as Spiritual Beings. They often have no lives away from the work they do and their houses are collapsing under the weight of crystals, dream-catchers, angel statues and pictures, and all sorts of spiritual paraphernalia. When they experience a block in their work, they regularly fall apart and can become very depressed. The harder they try to release the block, the more persistent it becomes. Because they have nothing else, they can believe it all to be a terrible catastrophe and will do the rounds of Healers, Readers and Psychics looking for answers. If they had some other outlet, they could relax and let the block remove all by itself. Now I am going to say something here that may seem incredulous but is very true. If you let yourself get so one-sided and detached from the Physical side of life, becoming overly concerned with Spiritual/Metaphysical stuff, when a block comes and you feel your work is failing, envy and jealousy of others who are flying nicely along often comes into play. I see it all the time and have had to speak to students about this type of behaviour. It can sometimes come as a shock to them that the way they are acting is not very spiritual at all. There will always be a few outstanding students in class who seem to get it right all the time and are amazing when it comes to the Psychometry Night, picking up on everything they hold, much to the annoyance of other class members. Occasionally I have received quite negative texts or emails from students relating to other students in the class. They say nasty things about them or try to put them down. I am very quick in my response regarding gossip and hearsay as that I have no time for backstabbing and jealousy among my students. It rarely puts a stop to it though and then I have the offended student come to me to say that everyone excludes her or him from the chats, coffee breaks and social outings. Don’t be fooled by those who call themselves ‘Very Spiritual’ because they are still human at the end of the day even if they have forgotten they are. If you have a life outside of your Spiritual or Metaphysical Work, chances are you will not fall into this sort of undesirable behaviour for you will not seek your sole happiness from this particular work. When you are working in the realm of Tarot Reading or the likes, it is vitally important that you keep both feet on the ground at all times, and then when you need to access a little more, you only put one foot across into the other side. Unless you are grounded, it is very difficult to Read properly for others. The same applies to Psychics, Reiki Healers, Mediums etc. The energy comes from spirit but must be grounded in the physical for it to be of any use. 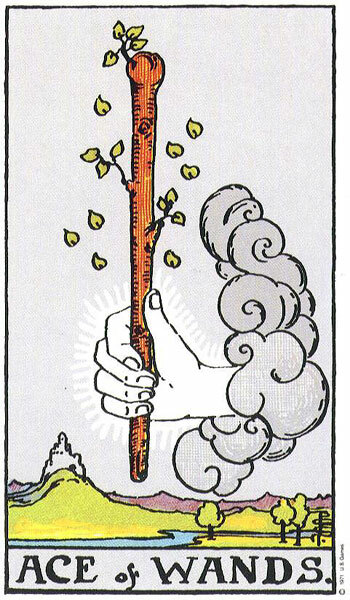 Take a look at The Magician Card (I) of The Major Arcana to see this in action. I am sure you have heard of some people being referred to as being ‘too much up in their head’ well that implies that someone is not grounded and are of no practical use. In effect they are away with the Faeries. 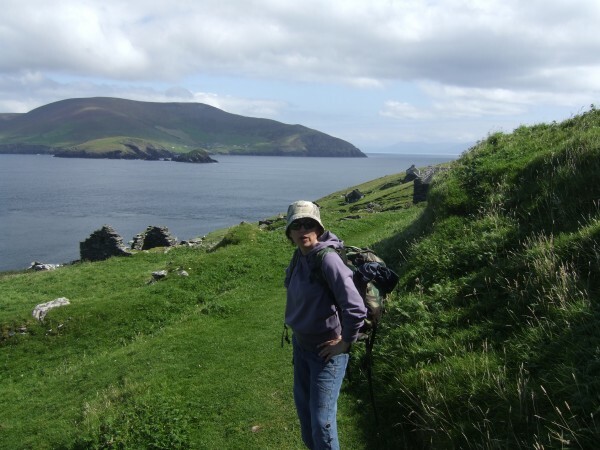 Staying Grounded – Making Sure to get plenty of Physical Activity and Maintain a Connection with The Earth by Getting Out into Nature. It is vitally important that you have a balance in your life when you become a Tarot Reader or Healer. Make sure you have other interests and activities that are not related to your work. Develop the other aspects of your personality, be an all rounded person and not just one-sided. It is not necessary to consult the Cards for absolutely every single thing you do as you must be able to use your own common sense and sometimes work things out for yourself. 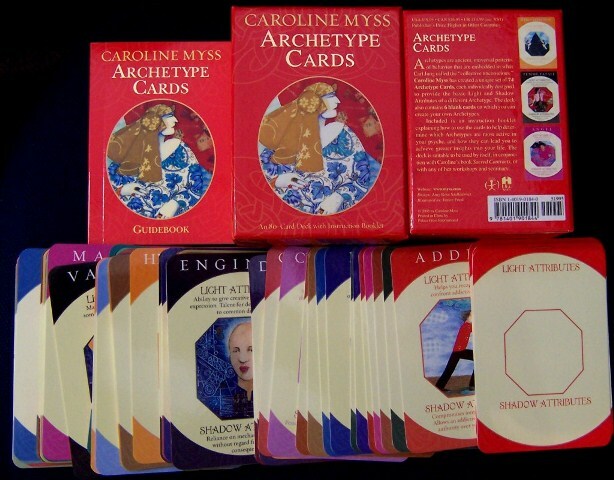 Yes, doing plenty of Personal Readings when you are learning is vital but you should not solely rely on the Cards. I remember one day watching a woman in a shoe shop trying to select a pair of shoes for herself. 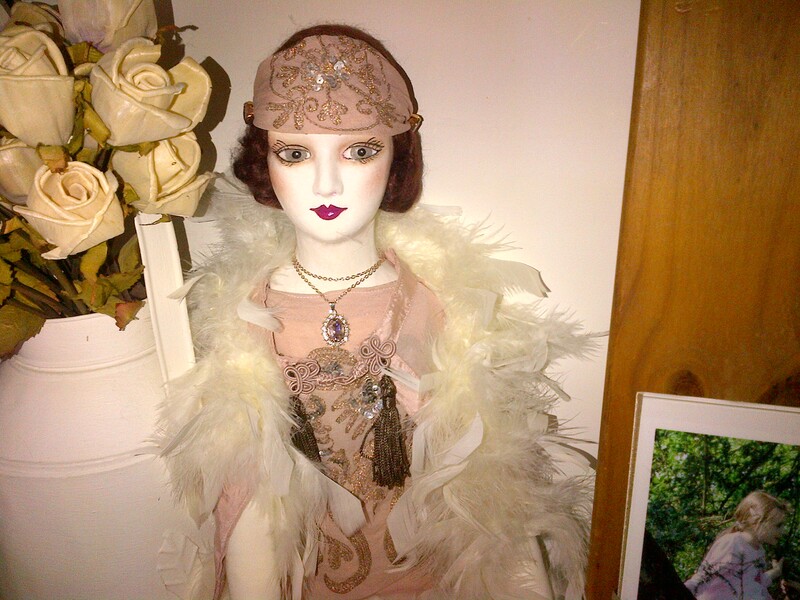 She was wearing a Crystal Pendulum around her neck as a piece of jewellery. She picked up pair of shoe after pair of shoe and consulted her Pendulum for each one, either receiving a yes or a no. All the no ones were placed back on the shelf and then asked for her size for all the yes ones. I passed a comment to her that I knew she was Dowsing to see which pair of shoes she should buy. She told me that she Dowsed for everything and wouldn’t buy a thing unless her Pendulum told her to. I was amazed at this and obviously wanted to know if she was successful on each occasion. She told me that sometimes what her Pendulum told her was right for her was not always what she herself would select, but that she had more faith in her Pendulum than herself when it came to making decisions. So this woman was at times buying items she didn’t particularly like, and leaving aside items she did just because her Pendulum told her so. I couldn’t believe that she had given away her freedom of choice and free will so readily. I am trained in Dowsing and one of the Golden Rules with Dowsing is that the Dowser Owns the Results and not the Results Owning the Dowser. What this is saying is that regardless of what the Pendulum or Rods tell you, if it does not sit comfortably with you then don’t go with it. Always use your common sense at the end of the day for you are in charge. The same applies to Tarot. If what the Cards are telling you really goes against your own sense of better judgement, then they may be wrong or the Reading Tainted in some manner. You may have worded the question wrong or your mind was on something else when you were shuffling. You have to work out some things in life for yourself and this brings to mind some of my encounters with the Spirit Guides of Clients when conducting a Life between Life Regression following a Past Life Regression. 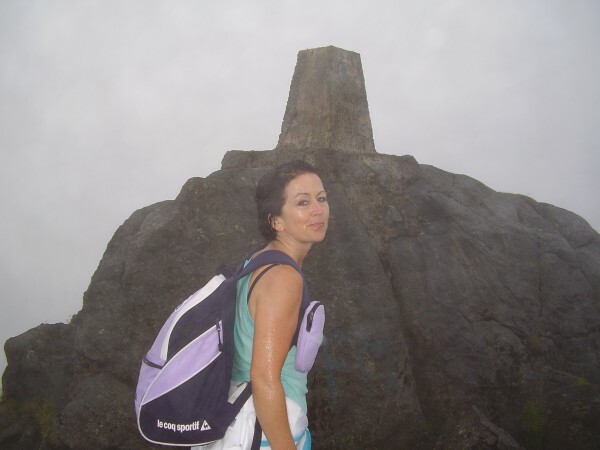 Upon asking some questions of their Guides as to what my Client needs to do in their particular situation, or how they should choose between one thing or another that was very pertinent in their life, I was often told in no uncertain terms to ‘back off’. 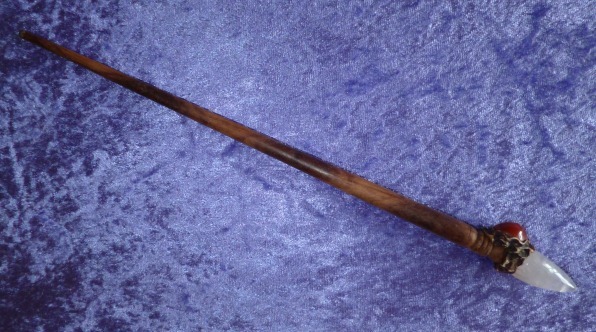 Their Spirit Guide, speaking through my Client while under Hypnosis would tell me that it was not in their Soul Purpose or Spiritual Interest to be told at this stage what to do or how to act in this instance, for whatever challenges they were going through had to be worked through by the Client alone, using their own powers of deduction. They must arrive at decisions themselves without the intervention of higher powers, for what they were dealing with were Karmic Issues that had to be personally worked through. The Soul would not grow and progress along its path by being constantly told what to do. The Soul had to figure things out on its own at the end of the day. I have attended Courses in Psychic Development, Colour Therapy, Meditation, Numerology, Witchcraft (white of course), Counselling and Psychotherapy. 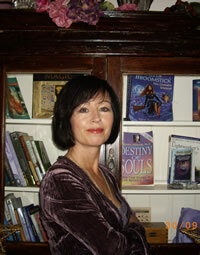 I have read several books on Tarot, Hypnosis, Aura Reading, Astrology, Psychic Development, Faeries and Mythology. When I am not Reading Tarot, Teaching or Writing about it, I enjoy the release from the intense mental work that is involved by finding enjoyment in very physical activities. 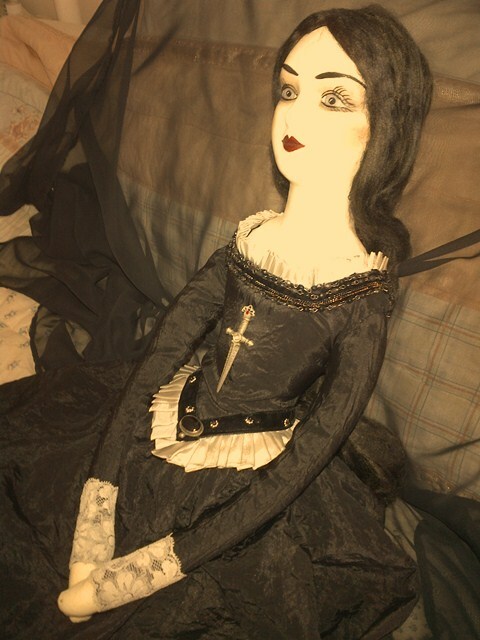 My main hobby is Doll Making which involves me creating something with my hands. It is highly tangible and I can see my work come together in front of my eyes, as I cut material, paint faces and make wigs. I can hold the finished product in my hands and can look at it each day for it doesn’t change or take on a new meaning every time I look at it like Tarot does. 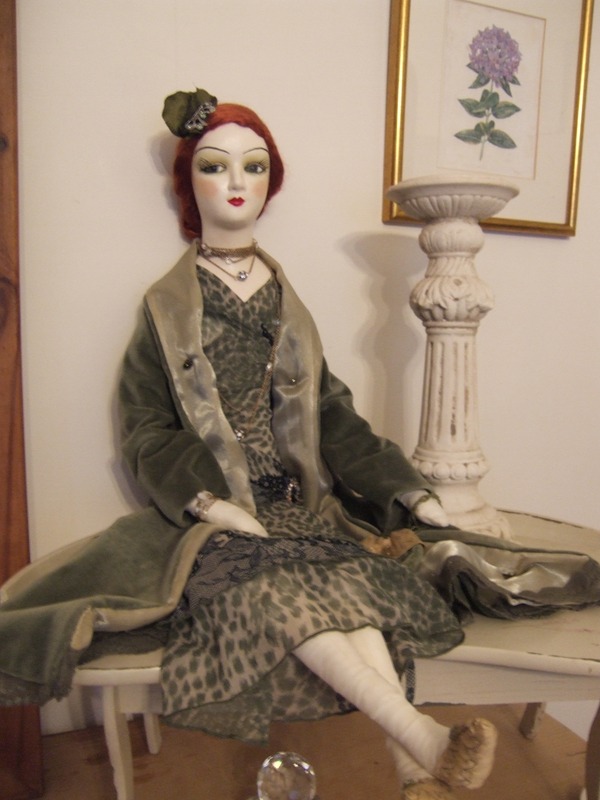 I find my doll-making, the using of my hands for something other than writing, extremely therapeutic and relaxing. I also sing and have been having my voice trained as a Mezzo Soprano. Saying that, I mostly sing with my partner while he plays the piano or guitar, our songs ranging from Irish Ballads to Fleetwood Mac. I also love to get out on my bike and travel the surrounding country roads. 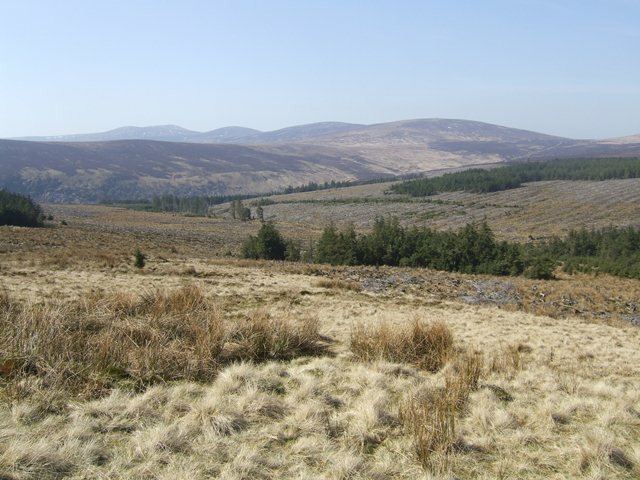 I walk a lot too in the local forest or do Hill-Walking which is much more intense and hard-going. I totally enjoy working in my garden, tidying and sorting. I work-out as much as possible to stay strong and fit. I watch a bit of television but not that much and I like to read. It is vitally important to find Hobbies outside of Tarot that involves physical application of some sort or other as this will help to keep you grounded and stable in your work. Now that you have defined the Style of Tarot Reader or Consultant you would like to aspire to, another important step is to draw up your very own Tarot Reader’s Code of Ethics based on your chosen Style of Reading laying out, or stating in detail whatever Boundaries or Parameters you have decide to work within. Your Tarot Reader’s Code of Ethics is extremely important and is very relevant to those who are interested in booking a Reading with you for it clearly spells out what Style of Reader you are and what Code of Ethics you operate under. This means what to expect in a Tarot Reading, what The Tarot Can and Can’t Do, what you as a Reader are prepared, and not prepared to do. Your Tarot Code of Ethics should dispel any myths or superstitions that are commonly held by the uninformed public when it comes to having their Cards Read. It should very specifically reassure your Clients of the importance you place on Privacy and Confidentiality when Reading for others. You should have a framed and signed copy of your Tarot Reader’s Code of Ethics which includes a small image of yourself, hanging in a prominent place wherever you conduct your Tarot Readings. If you do not have a regular room or venue then you should carry on your person a Laminated version of it so that it can be produced for your Clients to view after they arrive. Your Client should be given a few minutes to read through your Code of Ethics and allowed to ask questions in relation to it. 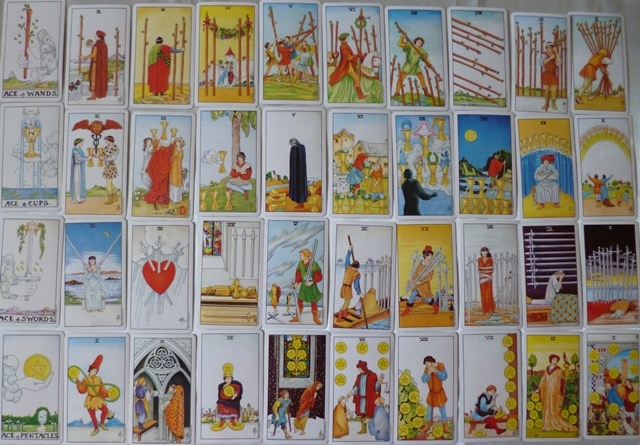 Really, anyone who wishes to make a booking with you should receive a copy of your Code of Ethics prior to their appointment time, so that they can decide in advance if you are the type of Reader they are looking for, and also to clear up any misunderstandings they may have about Tarot Reading before they arrive. It can be quite difficult explaining to your newly arrived Client, who is now sitting in front of you, that you do not communicate with Spirits during the Reading or that you do not do Psychic Readings if that is what they think they have booked you for. 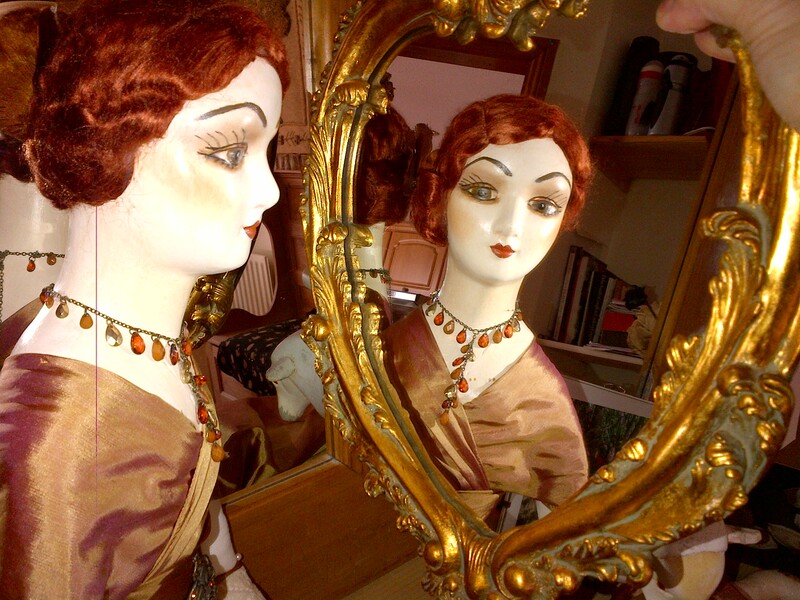 It is also extremely awkward to work with a Client who was expecting a Fortune-Teller Style Reading where they were preparing to sit with a blank expressionless face and lips tightly closed, but are now expected to communicate to you about their issue or pass any sort of comment whatsoever. Even when you do have a Tarot Reader’s Code of Ethics which your Client has read through and confirmed their understanding of, it can still be a battle to get them to work with you. I had a new client a couple of months ago who I had gone to great lengths with on the phone explaining the nature of Tarot Consultancy and that there would be a two-way flow of communication throughout the Reading. On the day of the Reading, my Client uttered no more than three words throughout the whole first Reading, and when it was complete asked if they had communicated sufficiently with me. I quickly informed them that they hadn’t and now a few Readings later, I have to work hard to stem their flow of talk so as not to Taint their Reading. Most people now have an email address where you can mail in advance a very clear, precise and direct Personal Tarot Reader’s Code of Ethics. It must be Your Code and not a generic one that every other Reader uses for you will have your own way of working. Some Readers do not mind Clients bringing a friend to sit in on their Reading with them, while others believe it is a terrible distraction and prevents the Client being totally open and honest. It all depends what you are comfortable with and this comes down to understanding your Style of Reading, and also acknowledging your limitations as a Reader. If you are not an out-and-out Psychic or Medium, then do not claim to be just to get a booking. When it comes to those under the age of 18 years, I do not take a booking unless they agree to have a parent or guardian present. You must look into the laws in whichever area, state or country you live in before getting involved with Reading for the public. You must also enquire as to whether you need Professional Insurance to practice as a Tarot Reader, that is if you are seeking payment for your services. Professional Insurance, if necessary, is usually very inexpensive and can cover you for several therapies other than your Tarot. 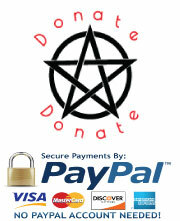 When compiling your Tarot Reader’s Code of Ethics, it is advisable to do some research. Look to see what other experienced Readers have in theirs. Get a feel for what your Code should include by viewing others. When you have made notes and given much thought to it, set about putting your own together. Remember you are only starting off, so make sure to review it regularly to ensure that it is still relevant. If you have originally stated that you do not do Health Readings but two years later find that you are comfortable with them, you will need to amend your Code. One very important aspect of your Tarot Reader’s Code of Ethics is to include a Disclaimer Section that is highlighted in bold print or another colour. Your Disclaimer should inform your Clients that the information provided or given in a Tarot Reading is subject to interpretation and should not be taken as absolute and that a Tarot Reading is never 100% accurate. A Tarot Reading will never replace Professional Medical/Legal/Business Opinion and Advice, seek to Force the Querant to follow a particular course of action, or attempt to exert any form of control over their free-will and common sense. Any decisions made or actions taken by the Querant as a result of their Tarot Reading is the Sole Responsibility of The Querant and has not been forced upon them by You, The Tarot Reader. It is only with understanding and acceptance of the above that any Reading will take place. A simple way to build your reputation as a Tarot Reader at this early stage of your career is by building a Blog or Blog Site where you can talk about Tarot and offer to do Practice Readings for viewers. It is very simple to add your Tarot Reader’s Code of Ethics to your Blog so that you start off on the right foot from the very beginning. Saying this, you are bound to amend, make changes or additions to your Tarot Reader’s Code of Ethics over time. It is purely by experience that you will discover areas that need to included or excluded from your Code. On a personal note, I never thought I would ever be asked to put a curse on someone with the Tarot, lift a curse, or arrange the Cards in a way by spell-making, which would force a Particular Desired Outcome for my Client. As a result, I had to add these areas to my Code of Ethics on the basis of don’t ask for, because I don’t do. I will be covering more about starting your own Blog in Part III of this Course when we take a closer look at the Business Side of becoming a Tarot Reader. 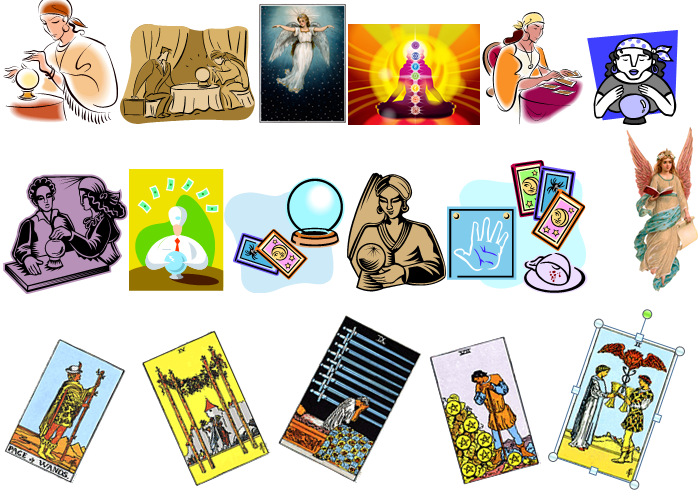 If you are planning on becoming a Professional Tarot Reader, then you should create a Tarot Brochure explaining about Tarot, a small Personal Bio, Prices, Terms and Conditions, Your Code of Ethics, Disclaimer, Contact Details and Location. You should also have Business Cards printed to go along with these Brochures. You can then distribute them to local Holistic/Metaphysical Centres or Shops where people can read all about you without having to go into detail on the phone when they call. If they book you after Reading all your details, then they will know what to expect. Organise your Brochure so that it is also suitable for emailing to inquirers. You can create your own Tarot Brochure on your Computer or have it Professionally done by On-Line Companies or Local Printers. 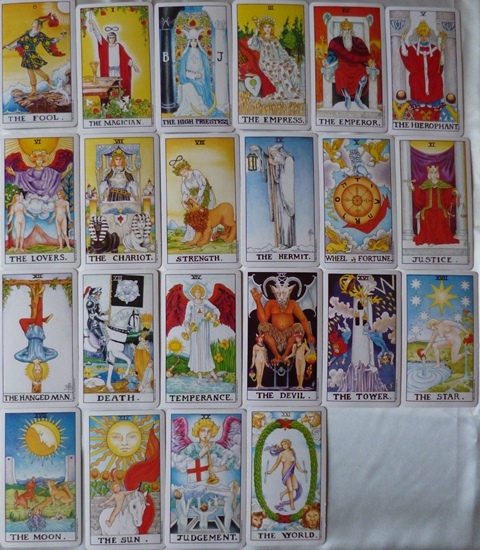 Tarot Brochures will be looked at in more depth when we cover The Business End of Tarot Reading in Part III. To View a Sample Brochure (Mine), please click on the Following – Sample Brochure. It has been a long journey since you started this Course in Lesson I and you have covered much material, information, tuition and a lot of study. Some of the information you have easily assimilated while there have been areas where you have had to consistently apply yourself so that you could retain it and put it to proper use. Then there have been areas where you are still struggling, and that is perfectly normal at this stage. You should all be doing as many Readings as possible for friends, family and acquaintances with the understanding that you are still learning at this stage. One of my aims was to start you off as The Tarot Reader I mean you to continue as. That is to be Professional from the very start. If you approach your earliest Readings in a Professional Manner, then this is the habit you will naturally adopt as you grow and develop into a more experienced Reader, using the Full Deck of Cards. When, and that is if you decide to become a Professional Tarot Reader, you will not have to work on that end of your Readings as it will happen automatically. I want you to be and act Professionally whether you are Reading Cards for a friend on the back seat of a bus, at an open stand at a Holistic Fair or in your own nicely decorated and atmospheric Reading Room. In times gone by it was perfectly acceptable to conduct your Readings in any old manner as people didn’t expect too much. Now the public are more informed and if they are handing over money, regardless of how little you may be charging, they will want their money’s worth and more. I can tell you that in the past I have gone for Readings only to be shown into someone’s kitchen with piles of dirty laundry sitting in baskets, clutter all around and The Reader having to clear a space at the kitchen table so that we could spread the Cards. On another occasion, after me arriving at my allocated time, I found the Reader in the middle of doing her ironing. She asked me to take as seat and wait as she only had two more shirts left to do. I sat in her hallway with her children running up and down asking me who I was and what I was doing there. It was embarrassing and totally unacceptable. Another personal no, no of mine is the Freezing Cold Reading Room where you cannot concentrate on The Reading because your teeth are chattering. Of course a regular fault I came across was the filthy dirty room and worse still, the filthy toilet I had to use at Reader’s Premises. Some had neither toilet paper nor a towel and it was quite obvious that it hadn’t been cleaned in a long time. One had children’s discarded underwear on the floor. All this and I haven’t even got to being Professional during the Reading Part. It is not just enough to be a good Reader as people want and expect more these days. Other experiences that I have found totally unprofessional is the constant interruption to The Reading by telephone calls or people calling to the door. I have often had to sit and wait for The Reader to take another booking on the phone or have a quick chat with their partner while in the middle of a Reading. This has resulted in The Reader asking me ‘now where were we?’ and me having to feed back to her the last few comments she made before the interruption. Once a Reading has started, the time belongs to your Client, and if you have to leave the room for a moment, or speak about personal experiences that are relating to your Client’s Reading, then you must add that time onto their Reading. The Reading should be all about them, but sometimes a Reader shares some stories, be they personal or connected to other Readings so that The Querant does not feel alone in their situation and is assured that others have managed to survive them. However, saying all this, The Reader should not use their Client’s Reading time to talk only about themselves. Sometimes when you have a long-standing Client, they like to have a chat or ask how your holiday was, are you feeling better after been ill etc, but other than that, your Client is there to hear about themselves and their situation. I had an experience some years ago that is not Tarot related but will give you an idea of what I have just written about. It involved a time when I was deciding what school to send my child to. I had gone and checked out several but one in particular appealed to me because it was small and dare I say, pretty. I had arranged a meeting with the Principal and when I arrived I met a lovely woman who welcomed me into her office and we talked briefly about the school and my child. Then out of the blue, she asked me if I had heard any scandal or gossip about her? I was quite taken aback and told her that I knew nothing of any stories. She then launched into a personal situation that centred around other teachers in the school, some of the parents committee, and members of the board of management who she decided where hell-bent on getting rid of her and had been making her life a misery. She told me of things that had been happening in her house that was not far from the school. Some damage had been done and she had put it down to these people trying to intimidate her. I had to sit through all this and in the end, as she was close to tears at that stage, I could no longer keep up my ‘that’s shocking’ reaction and told her that I had to go because I had to pick my child up from the Child-minders. Well, I couldn’t get out of the school fast enough and when I got home drew a line through that school on my list. There was no way I was sending my child there. No matter what she was going through at the time, she had behaved in a very unprofessional manner. As Readers, even experienced and Professional, there is a regular danger of this happening, especially if you have got to know your Client over a long period of time. I will admit that it has happened to me on a few occasions and one in particular I still feel quite low about and quite disappointed in myself. It had been shortly after my son had died and I had just gone back to taking Clients. A new Client came to see me for a Pre Past Life Regression Consultation. Once she had settled into her seat, she informed me that a friend of hers had recommended me and that she had heard about my son. She expressed her sympathy but then started to ask me questions in relation to how I had coped as she had children of the same age. Before I knew it, I was talking away about all my experiences and the horror of it all. By the time I realised that I had gone on for too long and said too much I could see that this woman was quite upset by what she had heard. I quickly turned the conversation around to Past Life Regression but it was too late. She said she had changed her mind and felt that she wasn’t ready to take that journey. When she left, I knew that it was me that wasn’t ready to take her on the journey and not the other way around. I had acted Unprofessionally. Yes, she had asked certain leading questions but I should have answered them briefly before swiftly moving on. 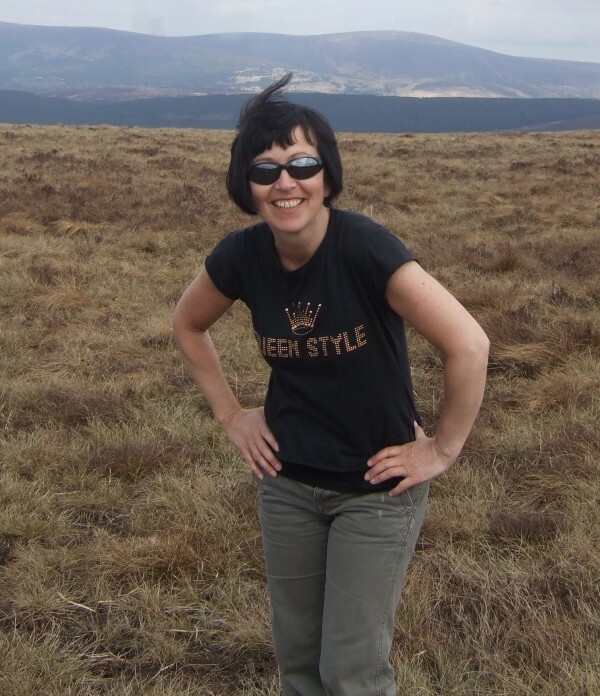 I had upset a Potential Client with my own personal life and I deeply regretted it. I decided to delay my return to work for some time to come and the whole episode practically stopped me altogether. Sometimes when Clients come who are going through terrible times that I may have personally gone through, not just the death of my son, but other things, I will share my experiences to a certain extent just to let them know that it is possible to survive them. Let’s say a divorce or separation and the Client is telling you that they will never get over it, and that their life is over as result. I might say, ‘I too have been through what you are going through and yes, felt the very same as you do at that time. However, here I am today. Time does heal and this awful time for you will pass just as it did for me’. I usually come in with ‘that is, if you want it to pass for you can hold onto these feelings for as long as you want even if they are causing you deep unhappiness and destroying the rest of your life’. So you can share a little of your personal experiences, blend it in with their Reading, without stepping over the line of Reader/Client Boundaries. There are some professions where the Therapist is not allowed to share anything personal but Tarot does not fall into that category. Often Clients can view you, The Reader as someone who has their life totally in control and balanced because of the work you do and the deep insight you can avail of through Reading your own Cards. Letting them know that you are every bit as human as they are, flawed and prone to making mistakes or wrong decisions, it can help them relax and also deepen your rapport with them. Otherwise they can feel that you may be judgemental or critical of their situation, behaviour and actions. It all comes down to a matter of knowing when to speak, when to say nothing, and also how much to divulge that is relevant to your Client’s Reading and their situation. Get the blend right and your Readings will take on a new dimension. 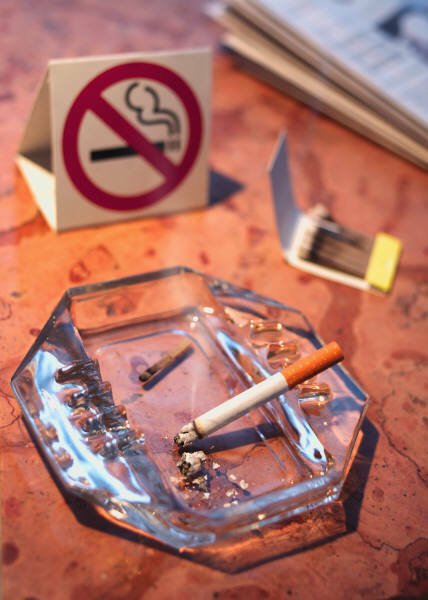 Another Pet Hate of mine, and again very Unprofessional are Readers who stink of cigarette smoke or body odour as it highlights the little interest they have in their Client’s Personal Comfort. A dirty shabby appearance, unwashed hair, dirty fingernails and bad breath are also on the Unprofessional List. When doing Readings for Clients it is not necessary to dress in floaty spiritual clothes or long black outfits. Just a clean, neat appearance to show that you have gone to some trouble with your appearance when working is sufficient. Please allow time to re-check your Client’s name before they arrive, don’t presume you know it. It can be off-putting for your Client when they arrive and you keep addressing a Olivia as Yvonne. Other areas of Unprofessionalism are Readers who are late for their Clients, show signs of being obviously unprepared and Readers who are constantly looking at the clock during a Reading and Readers who switch off from their Client once their allocated time is up. You should always allow a decent interval gap between Readings for those Clients who have to be eased out the door rather than thrown out it. Your appointment times should not be too tightly arranged. Another vital area of Professionalism is that no matter how little time you have between Readings you must always Clear/Cleanse the Deck and Upright any Reversed Cards before your next Client arrives. I would hate to think that if the Cards the Reader is handing me to shuffle still contain the energy of the previous Client’s Reading. Letting your Client know that the Cards have been Cleared for them is just showing basic respect. One last pointer about Professionalism when Reading Tarot for others is to allow time in your Reading to briefly explain the nature of Tarot Reading and what will be happening throughout the Reading. Allowing your Client to ask questions before their Reading is just good manners. We will be covering the ins and outs of Professionalism once more in Part III of this Course. The information provided in this Course for each of The 72 Cards is quite extensive, in-depth and comprehensive. It will be impossible to remember all of it at any given time, so I have provided a Supplement that gives Quick Reference Snapshot/Abbreviated Meanings for the previous Forty Cards we have just covered. 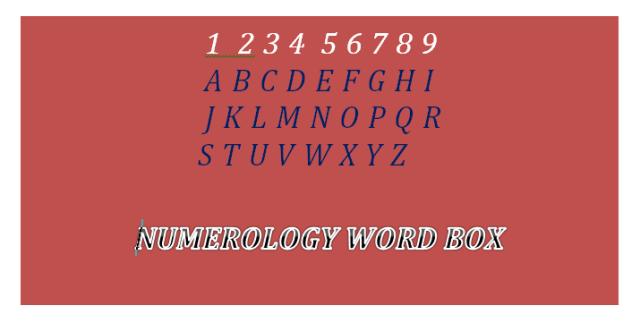 Obviously, these Abbreviated Meanings will not cover all the associated meanings and interpretations, but will provide a Snapshot of the Card which will then trigger other meanings that are stored in your memory.